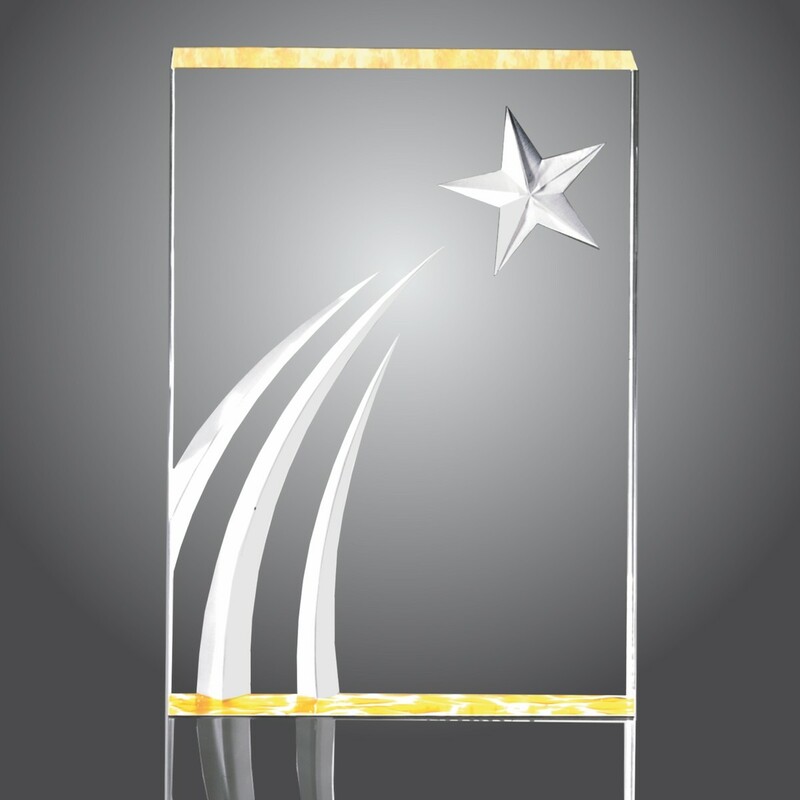 Reward your golden employees with the Shooting Star Golden Acrylic Award! 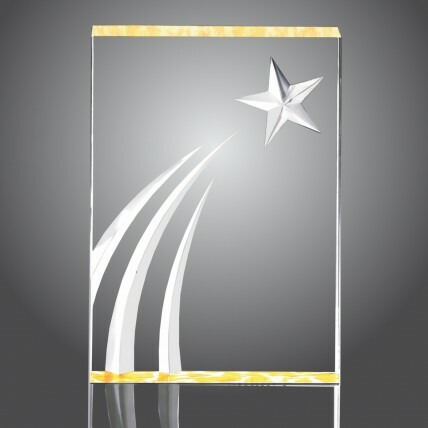 This beautiful acrylic piece has a gold crinkle effect bottom that radiates gold coloring on the top of the award as well. A carved frost white star shoots across the plaque that measures 1 inch thick. Available in two sizes, show your appreciation for hard work with this unique award! Production time for this product is 8 business day(s); expected pickup or shipping date is 05-02-2019.